The Polar zones, although they are on opposite ends of the Earth, are the same in a lot of ways. On this map both the Arctic and Antarctic Circles are purple, but they don’t have to be! 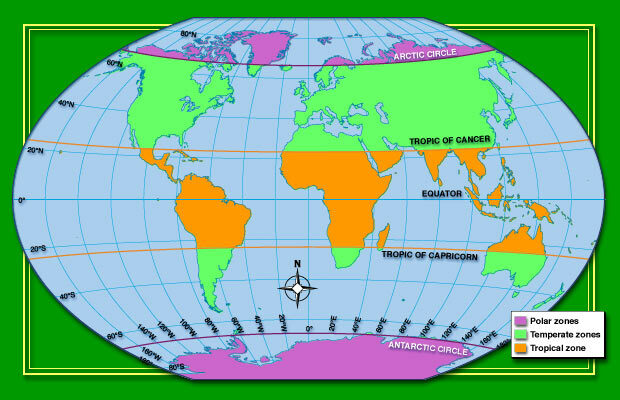 To personalize this map, print it out and shade in the polar, temperate, and tropical zones in the colors you choose. Don’t forget to create a color-coded key to go with your map.